Can I be fired for being sick and at the hospital? Can I be Fired for Being Sick? Can I be terminated for calling in sick? Can I lose my job for being sick and in the hospital? Can I be fired if I called in sick and could not make it to work? Can my boss fire me for calling in sick and being at the hospital? How can I sue my employer for a wrongful termination? Do I need a lawyer? If, like most employees in the United States, you are an at-will employee, your employer can terminate your employment with or without any reason that is not considered illegal in the eyes of federal or state laws. It may come as no surprise, but employers are free to fire any at-will employee who has missed many days of work and has not done their employment duties. After all, attendance and doing the actual work is a requirement for most, if not all, positions. But there are some exceptions as to why an employer cannot fire you for missing work. Your absences cannot be the reason of your termination if they are protected by the Family and Medical Leave At (FMLA), the Americans with Disabilities Act, workers’ compensation regulations, or state paid sick leave laws. If you believe that your termination was due to any of the listed reasons in the previous sentence, your employer may have violated the law and you may have grounds to hire a lawyer and file a lawsuit against them. In most cases, a doctor’s note can offer protection if your leave is considered to be protected under any of these acts. One of the most common quandaries that many employees come across is what to do if they get sick. Many employees often wonder what will happen to the status of their employee and wonder what they will do if they fall ill, go to work with a terrible illness, call in sick and ask for the day off, and then risk being demoted, fired, or other employment action that comes from them not showing up to work. It is impossible to be immune to all pathogens, and while our bodies do a fairly good job at keeping us healthy for a majority of the time, it is human to get sick every once in a while. And sometimes it is not the employee who gets sick, but rather it is their child or aging parent who requires care and so the employee must take off in order to take care of their family member. It is illegal for your employer to retaliate and terminate your employment for using the sick leave to which you are entitled and accrued. But what happens if you require medical attention that goes past your accrued days? In the state of California, under the Healthy Workplaces/Healthy Families Act of 2014, any employee who works in California for 30 or more days within one year is entitled to paid sick leave. To take care of a new child. Inpatient care at a hospital, hospice, or another medical facility. You may be protected from termination if the reason that you are sick also qualifies as a disability under the Americans with Disabilities Act (ADA). The ADA is a federal law that does not allow employers to terminate employees with disabilities. Under the ADA, a disability is a physical or mental impairment which considerably limits a major bodily function or major life activity (such as work). The ADA does not necessarily state that it gives employees time off, but it does state that employers have to make reasonable accommodations for the disabled employee. Such accommodations may include time off from their work, depending on the circumstances of the employer. In most states, it is required that most employers carry workers’ compensation insurance. Worker’s compensation is an insurance policy which protects employers from facing any legal action if an employee gets injured. An employee surrenders their right to sue their employer if they get injured because workers’ compensation covers their medical bills that result from the workplace injury or illness. Every state which requires workers’ compensation forbids it from firing or disciplining an employee who makes a workers’ comp claim. There are plenty of laws that help you from being fired if you take sick leave. Despite all of these laws, however, you still may have ended up being terminated from your position. 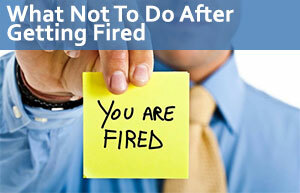 If you believe that your employer unlawfully dismissed you from your job, you should get some legal counsel right away. Our Los Angeles lawyers have helped many people across California get the justice that they deserve. If you need a lawyer to sue your employer, our attorneys are here to help you every step of the way. Before you sue your employer, you must first file a charge claim with the Equal Employment Opportunity Commission or the Department Fair Employment and Housing. Once they review your claim, you will be issued a “right-to-sue” letter which then gives you the right to file a lawsuit against your employer. For representation contact the California Labor Law Employment Attorneys Group: we offer free consultations and a zero-fee guarantee. With our experience, skills, and resources, we know we are the right law firm to represent you in your lawsuit. Contact us today for a free consultation.